Sir - I am one of the 86,000 mainly women pensioners referred to in your front-page report (Sunday Independent, March 17) who continue to be unjustly denied their full State pension by the Minister for Employment Affairs and Social Protection, Regina Doherty. I stopped working for a few years to be a stay-at-home mother to give my young family every support in their formative years. For this I was financially penalised by unilateral changes in the social welfare system by the then minister, Joan Burton, in 2012. Along with the other 86,000 women involved, during my employment break I could have availed of the then prevailing credit system. I declined to do this because I was not, in reality, available for work and did not want to act dishonestly to claim this credit. This wrong has finally been recognised by Minister Doherty, but I fear many of us may be in the grave before we receive our just entitlement. Maybe your report will help rectify this injustice, as justice delayed is justice denied. Sir - Retired PAYE workers, some of whom have for 45-50 years paid income tax and PRSI, have no one to lobby for them and have been given a miserable €5 by this Government. They deserve more. With a general election around the corner, these retired PAYE workers will not forget. Sir - The Sunday Independent last week hit a number of nails squarely on the head after a week of chaotic machinations regarding Brexit; a week that also culminated with the Christchurch massacre. In the global picture we lose domestic issues that are part of what makes us who we are. 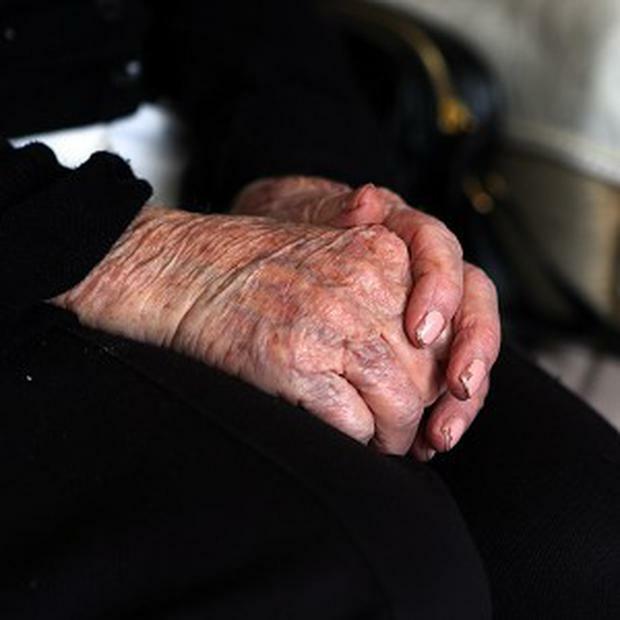 We found out the State is bottom of the EU league in the area of welfare for the elderly. The EU average is 10pc of GDP. We pony up a paltry 3pc of our GDP to support citizens who bore the brunt of fiscal FF madness via Haughey and a myriad of tribunals, bailing out banks, beef barons and PMPA (remember them?). We find on the front page that more than 86,000 pensioners "may wait until they die" before their pension anomaly is ironed out. In cases it amounts to €80 per week. No, not a banking executive's half million, but enormous to someone on €300 a week. I measure State alacrity against the November 2008 response of FF's Cowen and Lenihan. As the clock ticked towards midnight a solution was found. The nation was hocked to save the negligent unregulated Wild West cowboys of cash and property. The old and young would pay. Today, 11 years later, we leave the aged twisting in the wind. The 7pc GDP gap between our 3pc and EU 10pc for elderly welfare is instead divvied off to tech firms and big pharma etc. The grey-haired brigade are the most assiduous voters. Perhaps, if they voted with their grey heads, rather than their FF/FG brainwashed hearts, their lot might substantially improve. Sir - Another outstanding article by Gene Kerrigan (Sunday Independent, March 17). The privileged and powerful sectors in society have never liked democracy, for very good reasons. Investment banking, it's like massaging money rather than creating money. Politics purports to enrich the many but is actually in the pocket of bankers and other moguls who run and own everything. It is as well that the people do not understand the banking and monetary system, for if they did there would be a revolution. Politicians and corporations have always placed economic interests above moral interests. The world is governed by institutions that are not democratic, the World Bank, the IMF, the WTO. Proverbs 22:7 - "The rich rule over the poor, and the borrower is slave to the lender." Sir - Tommy Conlon's article: 'Give us your huddled masses and we'll find somewhere for them to play' (Sport, Sunday Independent, March 3) at length compares the plight of Irish rugby players being redeployed from their home teams with that of refugees fleeing their homes. I'm sure this was meant as satire or hyperbole. It is, however, distasteful in the extreme. These people have nothing and are fleeing war, persecution, repression and generally tyranny. They have nobody to defend them with world super powers ignoring their plight, shutting their borders and retreating to a level of nationalist rhetoric not seen since the 1930s. Your paper should not stoop to this level - it's not funny and it's not smart. Sir - I agree with Brendan O'Connor's views (Sunday Independent, March 17) on the crucial importance of good leadership, as shown by New Zealand's PM Jacinda Ardern, following the recent terrorist attacks in Christchurch. We all cry out for good leadership. At present, in view of the awful Brexit mess, and the likely damage to Britain, Europe and particularly Ireland, the UK badly needs new leadership. In all our interests, I sincerely hope that a wise and competent new leader comes forward. Sir - Reading Eoghan Harris (Sunday Independent, March 17), one would be forgiven for thinking you were reading an anti-Irish article in an anti-Irish British tabloid, so prevalent at this time. The DUP would be irrelevant to Brexit if they did not hold the balance of power at Westminster. Shame on Sinn Fein for not representing those who elected them at this time. Thankfully, there is some modicum of support for the government's stance towards the farce that is Westminster. While the Government might not have Harris's support, at least the EU has Ireland's back. As for Leo Varadkar risking running the country off the cliff to save face (Harris's own words), his cronies in Fianna Fail have already done that. Harris brings up the Treaty and Michael Collins: strange he did not continue and refer to De Valera's response, and what ensued thereafter. Britain caused the Brexit crisis thinking it would never pass; Cameron ran for the hills, reminiscent of Fianna Fail after the crash (Micheal Martin was the exception). Ireland had no hand, act or part in it. Harris's article was a disappointment. Sir - Some of your columnists believe we are giving the British a hard time as we view their Brexit confusion. We are being asked to temper our amusement and rein in our horror at what we see. My friends and I have certain views of it all, but our personal views are unimportant and they are unknown to anybody in Britain. The views of Irish newspaper columnists are also unimportant (though they may believe otherwise) and also have no influence on the issue. They are just reporting the facts and commenting on what they see. I am happy our diplomats and civil servants are professional in their pronouncements and if the British are upset at that, hard luck. It seems that German football fans are getting more fun and excitement from viewing proceedings in the House of Commons than their important football games. The situation in Britain is so ludicrous that we would want to be robots not to be animated by it. They have dug a hole for themselves and are still digging. Sir — It was uplifting to read Joe Kennedy’s intriguing article about ‘sheen-feathered magpies’, to say the least (Country Matters, Sunday Independent March 17 ‘Chattering magpies seeking redemption’). I have recently witnessed the lengths that some people will go to, to try to get rid of magpies and their nests. To say it saddens me is an understatement. Maybe, just maybe, Mr Kennedy’s revealing piece might reach the hearts of those guilty of the above; and our chattering magpies will get the ‘redemption’ they not only seek, but also deserve! Sir — I chatted as Gaeilge, with folk from Galway, Mayo, Donegal at this year’s Oireachtas in Killarney and marvelled at the ‘Gaeilge nadurtha’ of small children as they were enjoying the atmosphere and running to and fro to various events with their families and friends. One lady commented that it was the influence of Gaeilscoil teachings obviously making the difference and it gladdened the heart temporarily! Then I go check for Gaeilge Comhra among children as they leave ‘clos scoile’ and I rarely hear a word of Irish. I think they could make a difference if they are encouraged to bring the cupla focal on to the streets, perhaps a few groups handing out Irish literature, badges in supermarkets periodically and greeting the public as Gaeilge; we would welcome such efforts. I agree with Colm O’Rourke’s attitude of adopting the spoken word more (Sunday Independent, March 3) but I have to mouth a taoscan of disappointment on learning that a principal of a school announces that he cannot comfortably converse Irish. Again, as in the Gaelscoil, he is in a privileged position to encourage, promote the cupla focal in a centre of education under his direction. Sir — Just a quick note to say there was nowhere I would rather have been than watching the St Patrick’s Day Parade last Sunday. I hadn’t gone in for a number of years and had been consistently told of the drunkenness, dirt of the streets, etc. But on the nice sunny day that it was and with two sons attending parades in Vancouver and Sydney, I decided to go. I was absolutely blown away by the street theatre, pageant companies and marching bands from around the world. But what really sold it to me was the relaxed, happy family atmosphere. I genuinely didn’t see any drunken behaviour. And the amount of young men in particular who went all out in their shamrock suits and St Patrick outfits was great to see. There were also a huge amount of tourists from other countries and I can honestly say I was so proud to be Irish. The funniest and best moment which showed up the Irish humour was the arrival of the beautiful carriage from Dublin Castle which led the parade. After it pulled off one of the horses had done a poo and the corporation guy came along with his machine to hoover it up… the crowd went wild… loudest cheer of the day! Well done to all concerned. A great day out. Sir — There is a new St John in Ireland. And from his chair at the Land Development Agency, John Moran (‘Cities must work together to stand shoulder to shoulder with Dublin’, Sunday Independent, March 17) is anxious to lecture us on the right way to go about national planning in light of the new National Planning Framework for Ireland 2040. His contribution, while welcome, reveals a huge hole in official thinking as far as the north west of Ireland is concerned. He conveniently forgets that, over the past 50 years or more, our major political parties have shredded all the different national plans from Buchanan onwards. He is right that Buchanan had, usefully, suggested counterbalancing the run-away growth of Dublin by promoting growth in other cities and larger towns. The major political parties, realising Dublin constituencies hold the key to national power and government formation, would have none of it. So, the growth of Dublin became like a run-away juggernaut. John is proposing a type of latter-day Buchanan, suggesting that four cities, working together, could somehow counterbalance Dublin. In my opinion, the gaping hole is in the long-neglected north west. Ireland 2040 is all about urban hierarchy. The greatest investment will be in the largest cities, less in the smaller towns and practically nothing for our already declining rural areas. I am from rural Co Leitrim and its future is far from certain. Our TDs seem to offer up their votes to the major parties — their only interest is gaining power. Enormous investments have gone into the east and south. Overruns of billions of euro, in the costs of major projects like the National Children’s Hospital and the widening of the M50, have left practically nothing of substance for the rest of us. Letting Dublin grow and grow has led to truly enormous problems within that urban area, while the rural north west, starved of resources, is losing all sorts of services like shops, post offices, etc. The recent stunning liberalisation in the grants system for afforestation will allow vulture funds to buy up and plant much of Co Leitrim and its neighbours. Sir — A little over a week ago, a terrorist struck at innocent prayer-goers in Christchurch, New Zealand. Though it happened in a far-off land, we here in Ireland felt the pain and distress suffered by all the innocent people. Closer to home, we are still suffering the shock of the three young people crushed to death as they made their way to a night’s entertainment in Cookstown, Co Tyrone. All we can do is wait and believe that in the next world it will be all paradise where no such tragedies can happen and all our sins are forgiven. Sir — Reading about Rod Stewart’s self-confessed early womanising years (Living, Sunday Independent, March 17), I note that he was driving a yellow Lamborghini. Being in Rod’s age bracket, I reckon that around that time I was driving a grey Austin A40. Not quite in the same league perhaps?